Welcome to Exam Notes by CertBlaster! If you are following these in order we hope you came through 4.1 intact! Here in 4.2, we will use some of the same tools from 4.1 while paying closer attention to the security aspects of our situations and actions. Enjoy! When an infection is suspected your first course of action is to run your antivirus/antimalware program. Most packages are comprehensive in nature and combine both programs as a “suite”. When you activate the program check for updates. If the program connects to the server that is a good sign. Perform an update if necessary and scan the system thoroughly. It is often helpful to run you’re a/V program from Safe Mode to have access to more system files. The Recovery Console is a command line interpreter introduced with Windows XP and exists in later Windows versions with different names and some additional features. Fundamentally the Recovery Console is accessed from the installation media. The console provides access to a set of commands that can be used to examine the hard disk, repair the MBR, fix the boot process and much more. This will help you get into your system as long as your first step is not partitioning the drives. The recovery console requires the administrator password. We refer to the command interface in Windows as the Command Prompt. With OS X installations it is called the Terminal. In Linux, it is called Terminal and often referred to as the Console. Commonalities in the programming of OS X and Linux exist due to their foundation on UNIX. A good example is the Linux Terminal. It can be accessed through the GUI or at boot by setting the Linux runlevel to 1 and starting the system as a superuser without networking or a GUI. This enables you to diagnose and repair the system. As we discussed in earlier posts the Windows System Restore utility provides the ability to restore your computer to a previous point in time using a Snapshot of the system taken at a time when it was operating properly. This is a great tool for repairing registry problems bad program installations and resolving new system conflicts. In the case of a malware infection you must exercise care to avoid restoring contaminated files. Use a restore point that was created before any issues developed. The system restore is not always effective against malware since the infection may be in your personal files. It is not a reliable malware solution. Restoring from a snapshot will delete any programs installed after the snapshot was taken and will restore programs that were deleted. When dealing with malware one of the key concepts is to access the computing environment before the malware has a chance to begin its processes. To that end, pre-installation environments offer a robust set of tools in a stripped down environment. The most effective way to access the pre-installation environment is from bootable installation media. This method does not use the hard drive and therefore can launch your tools before the malware can deploy its measures. May antimalware products allow you to create bootable rescue CDs that contain virus and malware definitions. Create the CD on a known clean machine with updated definitions. In many cases surrounding system and application crashes, you will find Microsoft Event Viewer a useful tool in determining whether you have a malware or software issue. As failed updates can be a sign of infections, random program crashes can be a sign of a bad piece of memory. Investigate the details of any errors and think before you do anything drastic. At this point we will assume you are at a point where all is lost and nothing has worked repairing your system. The Refresh method available in Windows 8 and above provides the capability of refreshing your system without affecting your personal files. You can also reinstall Windows. This is recommended in extreme cases where you want to obliterate all remnants. Your success here depends in great part on the reliability of your personal data backups. 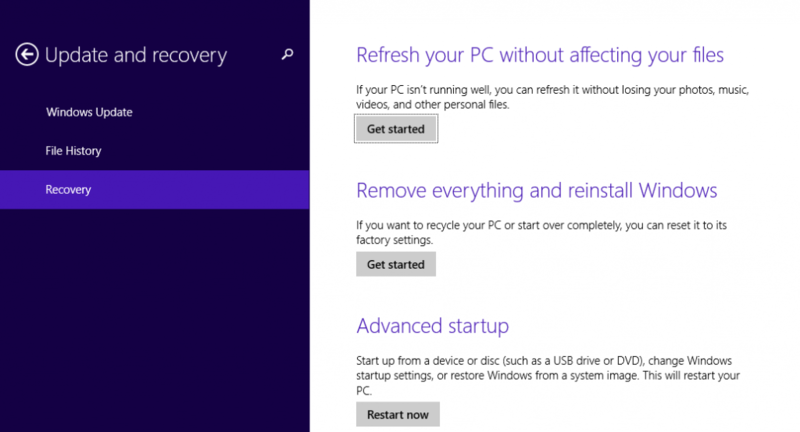 Here is a look at your Refresh/restore options in Windows 8.1. OK! Here is your counterattack plan laid out. This is a step by step process, so do it all. Every different type of malware has exhibits different behavior. Observe and record anything odd. Is it pop-ups? Inaccessible websites for updates? Everything you can observe will help you research the type of malware you are trying to remove. While system restore points and snapshots are useful tools, once you have an infection it is reasonably certain that the malware has tucked itself away in the restore files waiting to come back rested and fresh after you have spent hours removing it. 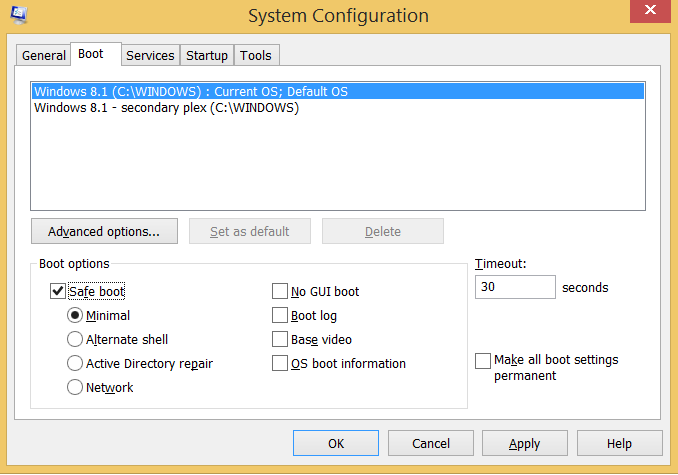 Disable system restore (System Protection) which will remove all restore points. Now it’s time to deal with your bug. First, we know you don’t trust the system, so create bootable Rescue media with updated definitions from another clean machine for use on the infected system. If possible try to update your existing AV software after remediation. Success here will provide hope that you’ve resolved the issue. Now while booting directly to the system try scanning in safe mode, the pre-installation environment then hopefully you’ll come out clean. Once you are satisfied the condition is resolved, complete any and all OS updates and those of other programs especially malware. Set these programs to update automatically. Once all of your updating is complete re-enable System Protection and create a restore point. Label it to allow you to be sure this is the clean baseline. Now, all along we touched on do’s and don’ts when it comes to running your system safely. So DON’T Click it! Seriously when you have to fight an infection of any sort you will immediately become proactive regarding defence. User education is the tip of the spear in malware defence. Take the time to inform the user tell them what happened, why, what the consequences are and then let them see the aggravation, I mean the steps necessary to eradicate the threat. Engage them in the solution – help them grow. Well, that’s everything for objective 4.2! Hope you enjoyed it! Don’t just sit there! Look for 4.3! This stuff doesn’t learn itself! Under Tools, it says “Antivirus software / Antivirus software”. Probably need Antimalware in there instead. Thanks again, Tyler. We just edited that header. Please check spelling on all sections. There are a a lot of spelling errors which tend to sometimes confuse the reader. When you find a typo, grammatical, or anything else please point it out and you will help make this better for all users!